Italian porcelain for bars, restaurants, hotels and resorts. Marble effect for luxury hotel lobbies, concrete effect for industrial-chic restaurants, stone effect for elegant, minimalist outdoor spaces, metallic effect for modern, hi-tech lounge bars… Depending on the style to be recreated, Atlas Plan proposes a wide range of effects and finishes designed to meet the needs of architects and designers. Hospitality spaces become key players of contemporary lifestyle, with functional and innovative solutions. Atlas Plan slabs are ideal for hotel lobbies and receptions, restaurant tables and bar counters. 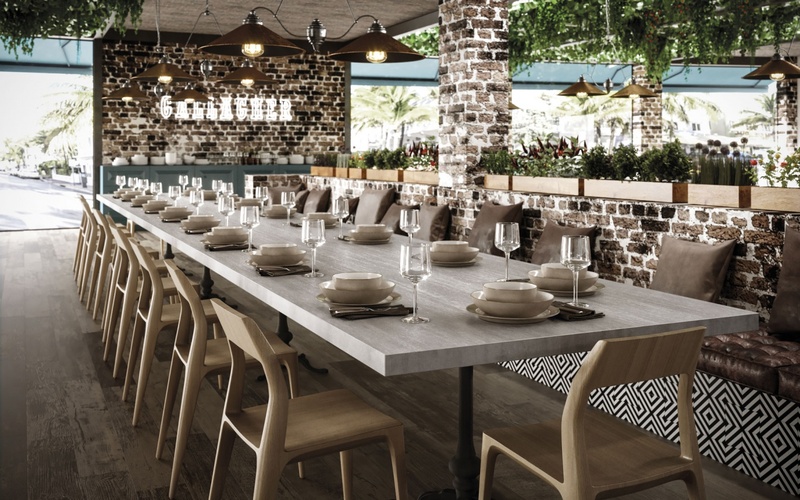 Its durability and resistance to chemicals and thermal shock make porcelain stoneware the ideal material for bars and restaurants with indoor and outdoor spaces. 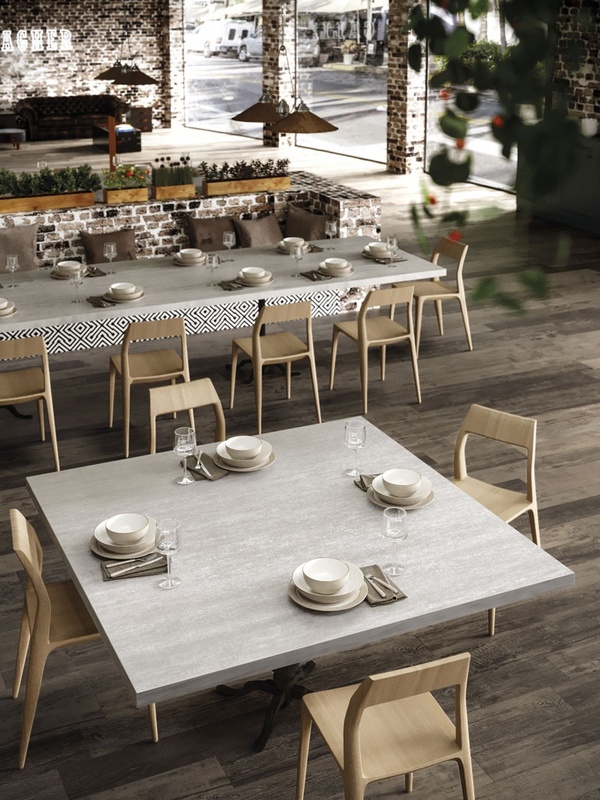 Moreover, porcelain ensures the surfaces of counters and worktops are resistant to everyday wear and hygienic for direct contact with foodstuffs.